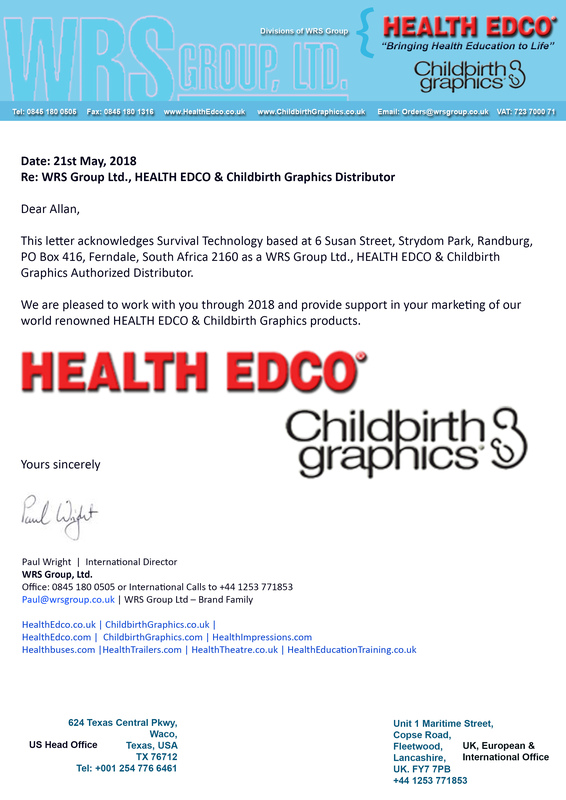 This epidural and spinal injection trainer is very impressive thanks to its extremely realistic haptic feedback, and the use of high-quality, hard-wearing materials. 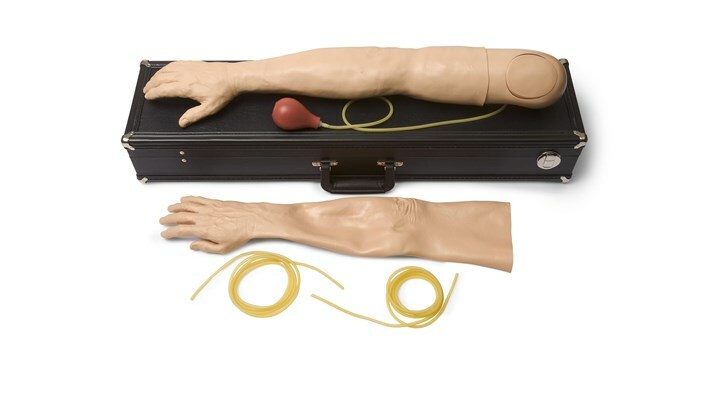 This soft tissue strap-on pad can be used to train in venipuncture and represents the antecubital fossa of the right arm. 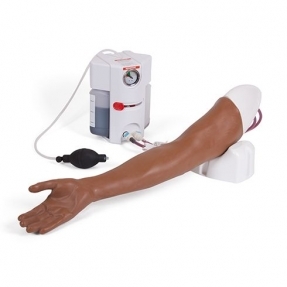 The Advanced Venepuncture Arm features a closed blood flow system rather than the Bag and Stand supply that comes with the Standard model. It allows easy adjustment of the pressure. 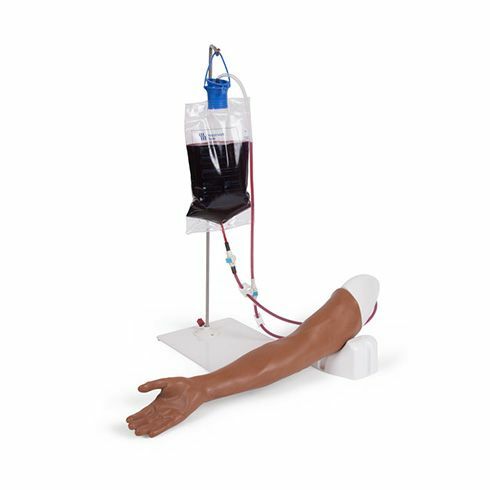 The Advanced Venipuncture Arm features a closed blood flow system rather than the Bag and Stand supply that comes with the Standard model. It allows easy adjustment of the pressure. 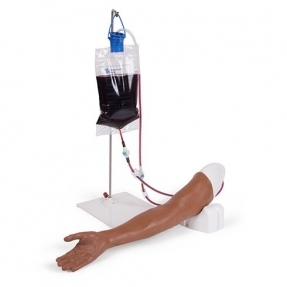 This product combines the more complex vein structure of the Advanced Venipuncture Arm with the Bag and Stand Mock Blood Supply. 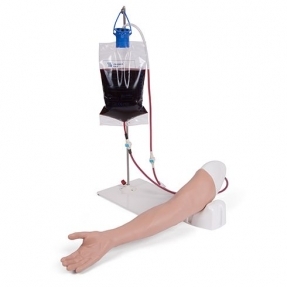 This product combines the more complex vein structure of the Advanced Venepuncture Arm with the Bag and Stand Mock Blood Supply. 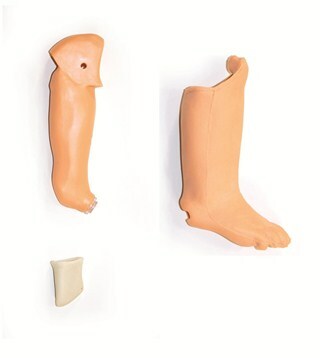 This comes with an Articulating Head that provides additional landmarks and enhances visual, tactile and physiological realism and difficulty to each procedure. 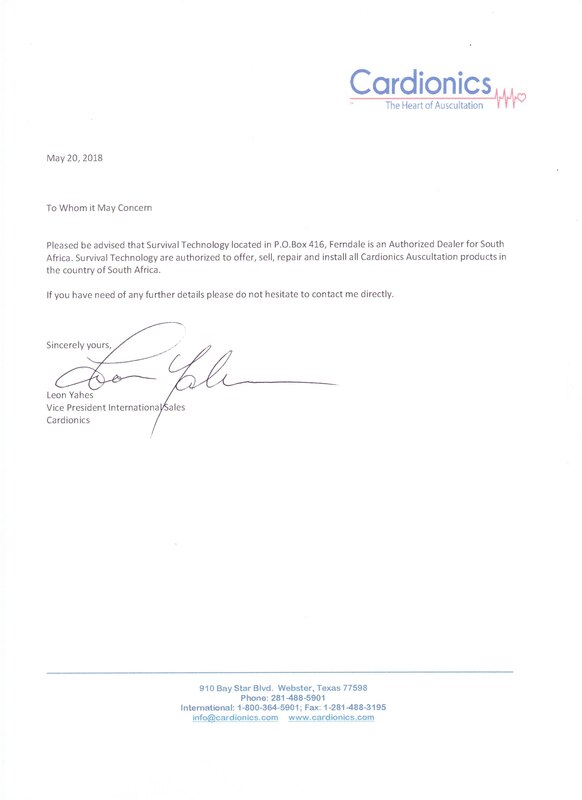 The head can be rotated and tilted into the required position for each access site. 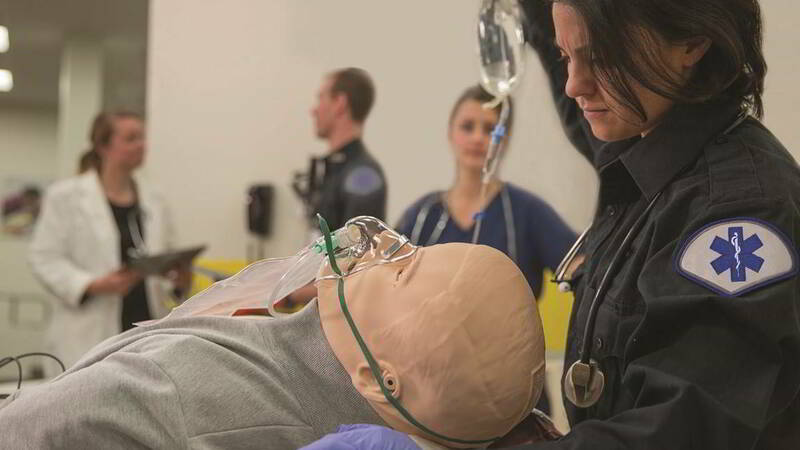 The Articulating Head provides additional landmarks and enhances visual, tactile and physiological realism and difficulty to each procedure. The head can be rotated and tilted into the required position for each access site. 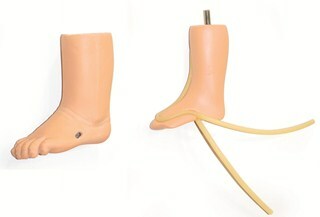 Also included is an extra replaceable tissue and non-sterile guidewires. 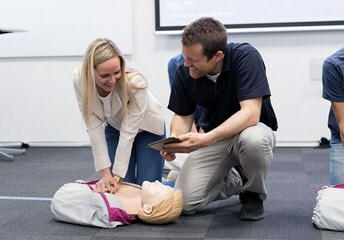 This Deluxe Central Line Training Package comes with additional tissues and non-sterile guidewire. 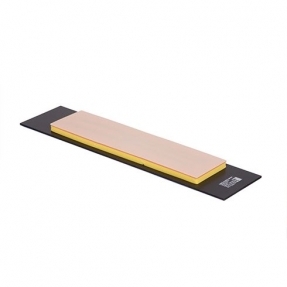 This soft tissue pad is supplied on a base for benchtop training in venipuncture and insertion of cannula. It represents the antecubital fossa of the right arm. 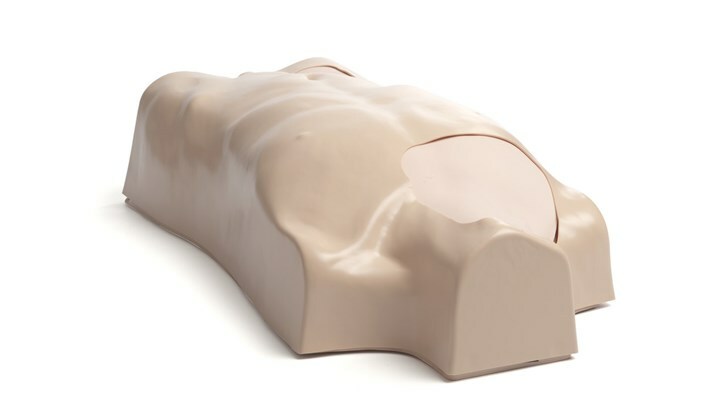 FemoraLineMan is an ultrasound compatible task trainer that offers an effective training solution for central venous or arterial access using the femoral site. 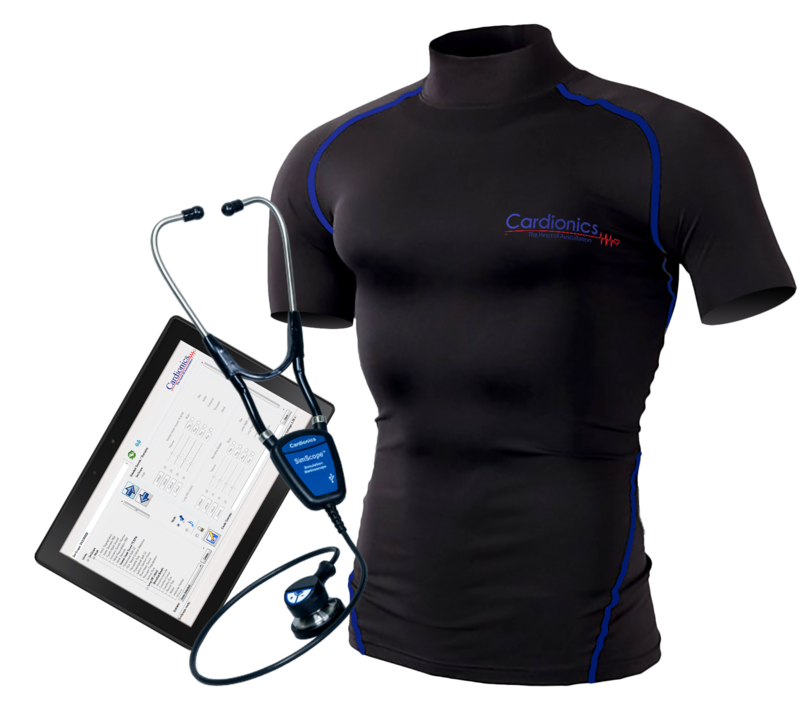 This femoral line trainer uses the same patented technology as the highly acclaimed TraumaMan System and allows medical professionals to train using real-time ultrasound guidance during venous or arterial cannulation. 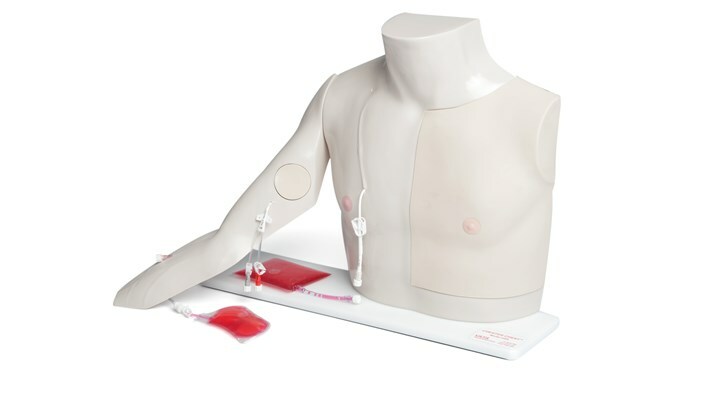 The FemoraLineMan Training Package offers an effective training solution for central venous or arterial access using the femoral vein site. 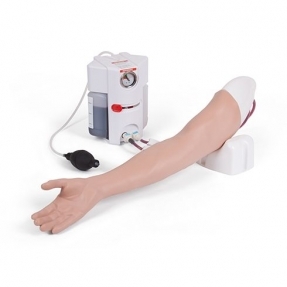 The Standard Venepuncture Arm provides the ideal platform for practising the skills related to venepuncture and IV cannulation. 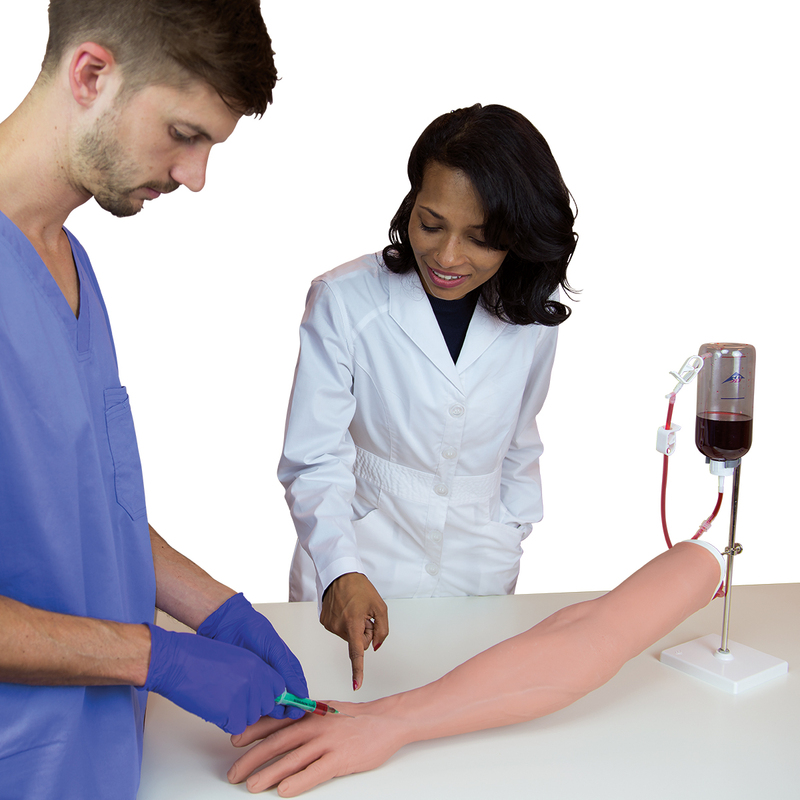 The Standard Venipuncture Arm provides the ideal platform for practicing the skills related to venipuncture and IV cannulation. This soft tissue strap-on pad features 3 straight veins, one of which is pediatric size. An echolucent and contoured slab with representation of the jugular vein for teaching needle insertion under ultrasound. 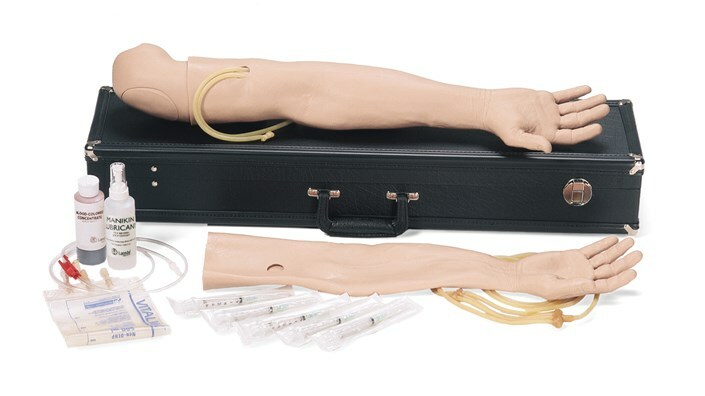 Practice central venous catheterization with both the FemoraLineMan System and CentraLineMan System, the most widely used Central Venous Catheterization training solutions in the market today and is proven when used with rigorous training to reduce patient complications from central venous catheter insertion. 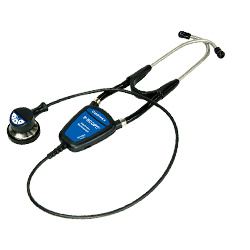 This flexible training package offers unsurpassed value with clinically relevant anatomy, time-tested ultrasound compatible tissues that maintain visual acuity, and market leading durability from needle sticks to full catheterizations. 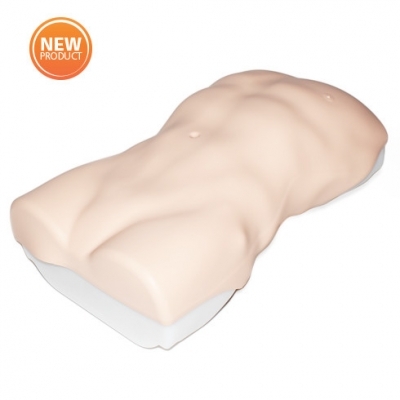 This package comes with an Articulating Head that provides additional landmarks and enhances visual, tactile and physiological realism and difficulty to each procedure. The head can be rotated and tilted into the required position for each access site.